The IKON Makeup School prides itself on giving students the chance of experiencing the industry hands on. The school has opportunities and contacts within the fashion and beauty industry from modelling and catwalk to celebrity photo shoots and bridal makeup. What’s more the school is based in the fashion capital, right in the heart of London. Whether you’re looking for a career in film and television, bridal or the glamorous red carpet as a Makeup Artist, IKON is the place to start. Offering different courses to gear you up for the buzzing industry, for aspiring makeup artists, course leaders or just one day workshops for assistants. The one day makeup workshop is a great stepping stone to the world of makeup artistry, helping you to create celebrity inspired looks and learn the art of flawless skin. The fashion and catwalk makeup certificate teaches you how to take on makeup trends and work for fashion shoots and catwalk looks to compliment an overall style. The all glamorous celebrity red carpet makeup certificate teaches you the tricks of the trade from colour correction, contouring and highlighting to occasion makeup and false eyelashes. The two-day workshop combines techniques from the one day workshop with more details and techniques from the celebrity red carpet workshop. The bridal makeup certificate prepares you for all aspects of wedding makeup, from flawless skin to long-lasting makeup. The glamour makeup certificate teaches students the difference between classic and contemporary glamour. There are also courses for backstage televsion and film and course leaders. 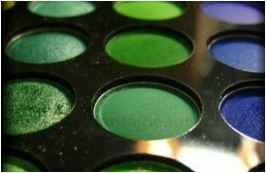 The IKON makeup school uses the professional brand, Kryolan for all teaching courses. This is a hard-wearing brand for theatrical makeup and meets the needs of HD lighting and extreme filming conditions. The Berlin based brand has been supplying to the film, theatre and television industry for almost 70 years. 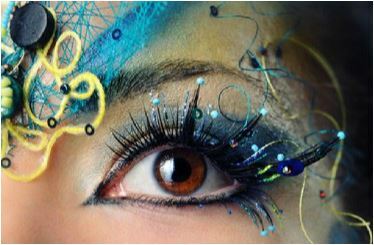 This is when makeup becomes serious, it’s an art and a science! If you’re thinking about a career as a MUA then IKON Makeup School can definitely help you to reach your goals and make your dreams come true. 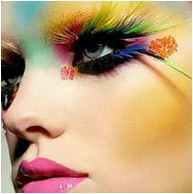 You can book on-line for any of the professional courses and be on your way to fashion, glamour and beauty. The team includes London-based celebrity photographer Joe Alvarez, who covers red carpet events such as Cannes Film Festival, the Brit Awards, the Bafta TV Awards, London and Paris Fashion Week and the MTV Awards but to name a few. Celebrity Makeup artist Anna Orkiszewska has created looks for the front covers of some of the most well-known glossies including Vogue, OK! and Cosmopolitan. She has also worked for film, television and red carpet event with a clientele including Miranda Kerr and Jessica Alba!